Samaipata Tourism - Breathtaking Scenery and a Mystical Stone Fort - Go! 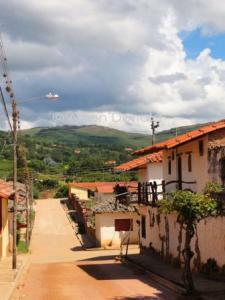 I was returning to Samaipata under a different guise – that of a local taking a short break, rather than as a backpacker doing a dot-to-dot through Bolivia. I went to escape the heat and noise of Santa Cruz and in search of a space to stretch my legs and enjoy a beef-free diet. I was also interested in whether Samaipata had changed since my visit in June 2010 and whether the pace of development in Santa Cruz had caught the surrounding area too. It was a Sunday lunchtime as I threw some things into a bag, packed up my laptop and caught a taxi to the Expreso Samaipata taxi rank on Calle Omar Chavez. There are two taxi firms that go from Santa Cruz to Samaipata and they both offer the option of sharing a cab (which means waiting for enough passengers) or leaving immediately and therefore paying for the whole taxi yourself. Whilst in dollar terms the difference is not great, I was happy enough to wait for other passengers and it turned out I was the 3rd of the 6 the driver was waiting for. I should point out that our vehicle was a people carrier, designed to fit 8, rather than a normal car. Still, at one point in the journey (with the driver dropping off and picking people up on the way), we were 9. The journey can broadly be split into two: the well-maintained road, going through a series of small towns, toll booths and over speed bumps, and the journey into the mountains, characterised by beautiful scenery but often poor surfaces, being patched up constantly after landslides, and where we went far too close to the edge for my liking. Angostura marked the division between the two, and the final toll booth. The driver had to get out of the car to pay the toll in an office and when he did so we were surrounded by at least half a dozen women selling bottled drinks, cooked snacks and fresh fruit. They were a fetching sight in their official tabards and baseball caps and the only thing I wanted was a photo. Fearing how this would go down with both the vendors and my fellow passengers, I put the idea to the back of my mind. Soon enough the driver was back and the barrier (by which I mean a rope with bits of fabric tied on it) was dropped. Our ascent into the hills was swift and we left the heat and dust behind in exchange for cooler air and fresh scents. This being a Sunday, we were met by the well-tyred vehicles of Santa Cruz heading back to the city for the working week. The scenery was stunning but I was tired and grew weary of the poor road surfaces and the stopping and starting to let passengers in and out. I was thankful that the major roadworks I had encountered previously (where the road was closed for 90 mins at a time) were finished. The only obstacle on the road this time was a convoy of pea-hens and a very sad-looking peacock who retained only one tail feather. A key advantage of taking a taxi rather than the bus is that a taxi will drop you at your accommodation if you are staying in the centre of the village. Otherwise you will be left on the highway and have to walk into town – it’s only 7 or 8 minutes to the Plaza though this includes a steep but short hill. I’d heard of the hostel and it had been mentioned in guidebooks but the reason I made a reservation at Andoriña was the website promise of information about self-guided trails, a fruit breakfast and real coffee. I had made a reservation over the phone that morning as I never like walking around with my luggage looking for a room on arrival. There are a great number of accommodation options in Samaipata and I cannot imagine there being a shortage of beds during the week except when a festival is on. If you are after something specific however (eg a kitchen) or have a limited budget I would certainly recommend you make a reservation. You may be able to secure a discount midweek, especially if you book for several nights. Away from the village there are a couple of options for people interested in the self-sufficiency lifestyle and where you can pay some or all of your board in exchange for working on the land. That’s the other thing about Samaipata: it has a large number of European settlers (many of whom who have set up a home and a business with a local). The food served is “international” and is generally of a very high quality. As I unpacked my things the sun was setting and a drizzle was taking hold. I went for a walk around the central streets and was sure that things had changed: maybe a new tour agency? A few streets up from the plaza the roads were being dug up and resurfaced. The pretty plaza was exactly how I remembered it, though empty due to the weather. Despite the generous blankets I was shivering in bed that night, unaccustomed to the evening chill. I was woken by my alarm clock at 8:30am, set in anticipation of a breakfast I was keen not to miss, and a day of fresh air. 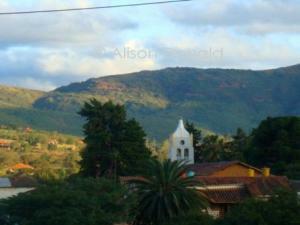 Samaipata is a very relaxing place and you will quickly slow to the pace of life there. There are no angry car horns though you may well not escape the Bolivian love of firecrackers in the plaza. It is very easy to go with the flow and do nothing except relax and enjoy the surroundings and the quality of the food available. If you do wish to do certain things in Samaipata you will need to be organised about it. There are a number of organised trips leaving from the village, ranging from day hikes in the fern forest to week-long excursions to the Jesuit Missions. There may or may not be a minimum number of participants required though the trips will almost certainly get cheaper the more people who take part, as the fixed costs are shared amongst all parties. If you are seriously interested in a tour, make arranging this your first priority. In my experience it can be quiet for trips from Samaipata and you will have to be flexible about the trip you want to do and the day to do it as the agencies wait to gather more participants. If you are able to put together a group in your hostel or you came as part of a team, your task will be much easier. As I now live in Santa Cruz I can come back whenever I wish to do so, or organise the trips from Santa Cruz so this time it was not my priority. I was here to investigate what I could do by myself in Samaipata, as well as give my stomach a break from the steak. Eating is something else I recommend you be organised about in order to sample the wide range of foods available here. You will never starve in Samaipata but certain restaurants close for at least one day midweek. When the mountain air and the activity (or lack of it) has made you ravenous, the last thing you want is to arrive at a restaurant to find it closed. For this reason I have summarised at the end of this article the normal working hours of the most popular places. On my first trip I had taken in El Fuerte and the Cuevas (both of which are easily organised yourself in the village and incorporate a taxi ride or two). 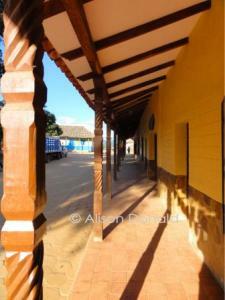 The Boliviabella website has details of the tour to El Fuerte. Samaipata is regarded as very safe. I also have a good sense of direction and so I felt at ease walking by myself, but women i particular should be cautious about walking around alone. 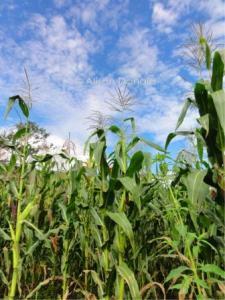 Private property is generally very-well marked and so you should not be able to stray on to private land by accident. The better hostels will give their guests ideas and/or maps for some self-guided hikes in the area rather than merely trying to sell them tours. Failing this, cafe La Chakana in the main plaza has a folder with details of 8 such walks, though the maps are very basic and you will need to copy out this information yourself as you wait for your food. However none of these trails are actually marked on the land. A hostel which laid these trails would surely have a huge advantage over competitors and indeed I have seen this in Vilcabamba in Ecuador. In both cases the routes are only made available to paying clientele as an included service and I have no intention of revealing this information here. I will however give you some details of shorter walks which I found by myself. 1. There are two main miradors in town. The closest is the site of an old Bolivian airforce plane and is located between the plaza and the main Vallegrande to Santa Cruz road. 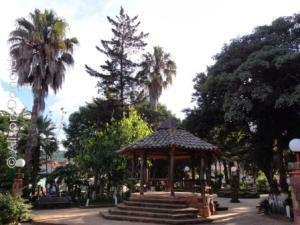 The second is to the west of the village and is known as “Cerro de la Patria”. Take one of the roads leading to the west of the plaza, aiming for the path that takes you parallel to the village and in a haze of eucalyptus. Follow this round until you come to a football pitch and on the other side of the pitch is a steep track upwards for another several hundred metres. The highest point of this mound provides a lovely viewpoint over village and the surrounding areas. Only once at the top you will notice a track through the bush to a considerably higher point and the actual Cerro de la Patria. Samaipata will be partially hidden during this climb though the view of the surrounding areas much greater. It is a steep climb to the top and the ground is not especially stable. This is best not attempted in wet weather or by those with vertigo. Go back down the way you came and this time you will notice a post (coloured with bands of black, yellow and red) by the top house, and a road leading off to your right. This road will lead you to a junction – go right and up to resort-hotel El Pueblito (and beyond) for a different view over the valley. Go left and the road leads back into town, though before reaching the village you would be well-advised to take a right at the sign for La Vispera for whichever meal you can fit in and enjoy their lovely herb garden whilst you wait for your food to be freshly prepared. 2. 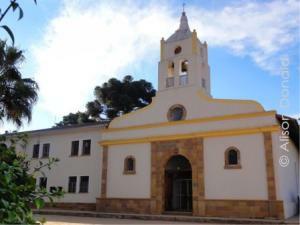 The community of Chorrillo offers a view of a different way of life. A round-trip walk can be done by following the street to the right of the museum as it goes up to the main road. This track will cross the main road and broadly go left and upwards, taking you over streams, next to fields of sweetcorn and to flocks of butterflies. Follow signs to tienda Aloe or Chorrillo. All of a sudden this path will stop at the intersection of the road to Las Lauras/ La Yunga. Take a left on the road and then a right (signposted) to the community. There is a small cafe/ workshop of Aloe and a lady who offers tarot readings. The tarot readings can be booked in the village. Further round you will come to a Buddist colony and some very small waterfalls, at which point the road tails off. What is interesting on this stretch of the road is how the foliage which is in the bend of the road (or in the shadow of a number of trees) and therefore in shade most of the time, is markedly different from that on the straighter stretches – larger, darker green and distinctly more tropical. There is also a great view of the charming buildings here – rarely rectangular, and with elaborate turret roofs. Follow the road the way you came though for a different return view (including of some lovely houses) do not go back on the path but continue on the road back to Samaipata. This will join the main Vallegrande to Santa Cruz road slightly east of the village and you will need to walk about 10 minutes back to the main plaza. 3. Follow Calle Arenales past hostel El Jardin and across the stream. You will quickly come to a fork in the road – to the left takes you on a quick detour through some local lanes and back to the main road. To the right will offer you another fork (take the right hand one) and a road that will lead you to the zoo. From the zoo you can continue on the road to San Juan (for some lovely views) or take a much quicker route back into town. Depending on the speed you walk and how distracted you get taking pictures you should allow at least two hours for each of these walks. Take enough water for the entire walk and a snack as there are no places outside of the village to buy refreshments on the way. Tell someone where you are going and when you should be back. These walks will generally take you on roads/tracks designed for cars however there is very little traffic outside of the village (with the exception of the main road back to Santa Cruz) and you should be able to hear from a distance any vehicle approaching. I challenge you not to smile as you are balancing on stepping stones over streams or caught up in a cloud of butterflies. The people and the vegetation seem to be in rude health here. This fertile soil is used by several businesses (specifically La Vispera and Griese) who sell their produce (herbs and European-style cured meats respectively) in Santa Cruz. I should say that anywhere you walk in Samaipata away from the main streets, you will encounter dogs. They are interested only in guarding their owner’s property and once they realise you are not going to trespass they will leave you alone. Slightly further on from the zoo I was confronted by a free-range bull though I am not sure if he is a regular feature or I was just unlucky. In any event he merely eyed me with distain as I walked past. Samaipata is not a cheap place by Bolivian standards and you should budget at least 50bs for a simple (but delicious) evening meal and soft drink. If you are on a budget you can find your midday meals at the market or at a place with a set lunch. Find restaurants in Samaipata. There is no ATM in Samaipata so I would recommend you come prepared with Bolivianos. I had to pay a visit to the solitary bank (a small co-operative just off the plaza) to break some bills as I had managed to arrive with only 200Bs notes. I waited for a few minutes in the lobby with villagers who all knew each other and where the queue was a very informal arrangement. The lady behind the counter changed these down for me into 20Bs and 50Bs notes without hesitation. Read about Bolivian money. Whilst I was there I asked about the arrangements for accessing cash. The bank will give cash advances on a credit card (with a charge of 5% plus whatever your card issuer charges). They will also change dollars but at a relatively poor rate (at the time of writing 6.89 against 6.96 that you could get in Santa Cruz). Don’t assume that your hostel will accept payment in dollars. Samaipata is far from a twee tourist village – two streets away from the plaza (on Calle Arenales) is the covered market offering fruit and vegetables, cheap meals in the comedor and a wide range of clothing. I’d managed to forget spare socks and was presented with an array of options. The street also houses shops offering animal feeds, household goods and jewellery repairs. There are a couple of Viveros (places selling plants), and an unusually worthwhile gift shop (Ambar, round the corner from the main plaza). I say this because I am very rarely tempted buy jewellery but have bought something on both trips. I also bought some delicious honey in the all things miel shop on Calle Campero (next to Andoriña). My third and final morning found me waking up relaxed but with legs sore due to unaccustomed walking. I headed back to the main road and waited in the taxi office for a car to fill up. The earlier you go, the less time you have to wait for other passengers. We headed down through the hills and through the rope barrier. The lorry in front of us honked at a micro on the wrong side of the road. Back to reality. 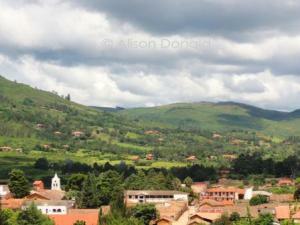 The Boliviabella website contains details of the transport options to Santa Cruz as well as listings of Samaipata hostels and hotels.